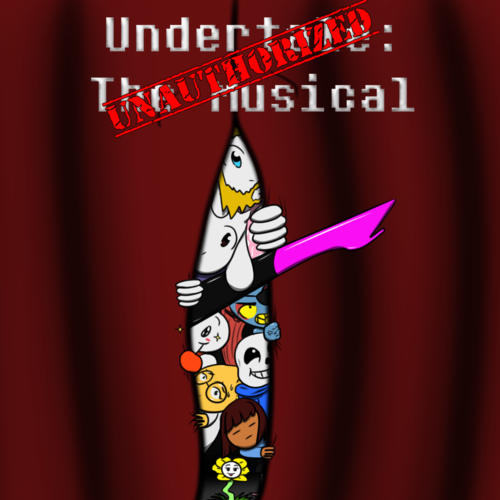 Combustible Pasta Studios is seeking a bass for the chorus of Undertale: The (Unauthorized) Musical! What we're looking for is more than a talented voice actor. We are looking for someone with integrity and who can stick to the schedule we've put out. Our channel has very high standards. We have professional VAs and audio mixers on our team and we expect the same level of professionalism when it comes to work. That being said, we do have a LOT of fun behind the scenes and we abhor fandom drama, so please do not audition if you intend to cause trouble for the channel. This is a long term commitment but the group we've already assembled are really amazing and talented people. Combustible Pasta Studios also does a variety of comic dubs and will have an upcoming miniseries called Dramatale, which is comedic and sure to be a lot of fun. If you're creative and artistic, that's a huge plus because we like to write these things as a team. We are somewhat affiliated with Camila Cuevas, using three voice actors from Glitchtale in our productions (and we may occasionally post an official voices Glitchtale video or two). We also have contacts in a variety of other big productions as well so it's a great opportunity to make some contacts in the fandom. Our Chara VA will be on the shortlist for future voice acting opportunities within our games, both fan games and commercial games. We are not associated with any other musical Undertale group. We think it's best to do our own thing and prefer to keep our distance from them so that we can be as original as possible. This is slightly random (but will avoid issues in the future) but you must be accepting of unusual interpretations/ships due to our cast and crew's diversity of opinions. That's just to keep things peaceful. Hope to see you on the channel! Thanks for reading! Needed for backing tracks down the line, as we do have an original story in mind for later on. Contact me directly if you're interested (and you can post music you've composed as an audition if you'd like). You will be in about 12 songs. You may also be called on to recite lines or even have a brief solo or two. This is a great opportunity for someone who is looking to get their name out there! Sing something. The lower the range, the better. Chara is the fallen human the player names at the start of the game. They befriended the royal family, even becoming a surrogate child, before killing themself to begin a war between humans and monsters. Ultimately their plan failed when their adopted brother Asriel refused to fight the humans, to the point of losing his life as a result. However, their plan is revived during a Genocide route, should it be followed through to the end. I'm really flexible with this role. As long as you sound like a child, I'm open to a variety of interpretations. 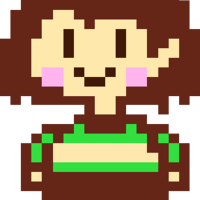 Chara must have a versatile voice actor, who can do a variety of emotions, both in song and in spoken lines. The range for the character will be soprano, mezzo, or alto but we are waiting to cast it before making final decisions on the backing track. That being said, we would prefer a mezzo or soprano, as most of our female singers are altos. However, we'll accept anyone of any range should their audition really blow us away. Please be sure to introduce yourself at the start and note that Chara is pronounced "car-ah" for this channel. Laughing, clearly amused at Asgore's suffering. "Come on, Azzie, lighten up. He's gonna get better. Don't be such a crybaby." "Greetings. I am Chara. Thank you. Your power awakened me from death. My "human soul," my "determination," they were not mine, but YOURS. Let us erase this pointless world." *pause* "No? Hmm... how curious. You must have misunderstood. Since when were you the one in control?" Sing a song of your choice.